Is your US Representative signed on as a co-sponsor to HR 3679, the National Nurse Act of 2011? Visit http://nationalnurse.blogspot.com and click on Special Interest: HR 3679 to check the most current list. If you do not see your member listed, please read on! National Nurses Week (May 6-12) is right around the corner. This year’s theme is “Nurses: Advocating, Leading, Caring”. What better way to take action to a higher level than advocating for a National Nurse for Public Health? Chronic preventable conditions continue to bankrupt our country and cause an incredible amount of suffering. This is the ‘perfect storm’ of opportunity to step forward and make a difference. Imagine the impact of thousands of letters coming from nurses across all specialty areas united and in agreement that the time for a National Nurse for Public Health is now! Send a quick letter in support of declaring the Chief Nurse Officer of the US Public Health Service as the National Nurse for Public Health to your legislators, to a major national newspaper and/or to your local community newspaper, or even to your nursing organization’s newsletter. 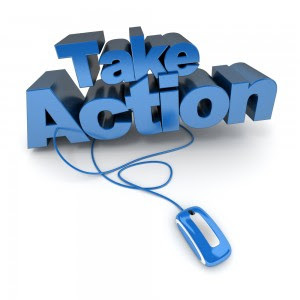 Email it, or snail mail it, but DO IT! A template is provided below that includes information on how Americans could benefit from a National Nurse for Public Health. Four state legislatures (Massachusetts, New York, Oregon, and Vermont) have already passed resolutions on a grassroots initiative calling for Congress to designate the existing Chief Nurse Officer of the United States Public Health Service (USPHS) to be the country's National Nurse for Public Health. Additionally, 110 organizations and prominent individuals are in support of this legislation. This popular proposal is simple, pragmatic, and cost-effective. A National Nurse for Public Health could unify, inspire, and engage nurses to promote health and disease prevention. Nurses who are familiar to the public and who represent the most trusted health profession are well suited to deliver prevention messages that our nation desperately needs to curb epidemics. These include not only communicable diseases, but also preventable chronic conditions such as obesity, heart disease, and Type 2 diabetes that cost our country trillions of dollars each year. Nurses promote healthy behaviors as a cornerstone of care, no matter what setting they work in. Our nation’s 3.2 million nurses are licensed, knowledgeable health professionals and are present in every community. Many are bicultural and span broad and diverse community populations. What better way to observe National Nurses Week that to take action to honor our country's nurses and support HR 3679, The National Nurse Act of 2011? For more information visit http://nationalnurse.org. Here is a link to locate your elected US Representative and Senators. As a nurse, concerned about the health of our nation, I work daily with patients and members of the public who could benefit from the expertise of a National Nurse for Public Health. The most recent report to come from the Office of the Surgeon General, “Preventing Tobacco Use in Youth and Young Adults” makes it even more important that there are trusted messengers to deliver the message of the importance of tobacco cessation. Prevention was one of the earliest implemented parts of health reform because there is a groundswell of public support for prevention. 73% of Americans support investing in prevention. Coupled with the fact that the theme for National Nurses Week’s (May 6-12) is “Nurses: Advocating, Leading Caring”, this is the opportune time for legislative action to have a National Nurse for Public Health. The potential of the nursing workforce to improve our nation’s health is too great a resource to waste. The nation needs, and all nurses deserve, a prominent and visible National Nurse for Public Health to partner with the US Surgeon General who will offer guidance to coordinate the contributions nurses can make year round to improve the health of our nation. Supporters of this concept suggest that Congress elevates and expands the role of the Chief Nurse Officer of the USPHS to serve in as National Nurse for Public Health, as a cost effective move that avoids unnecessary duplication. The movement to create a National Nurse for Public Health is an important initiative with potential for tremendous positive impact in improved health outcomes and cost savings in healthcare. It also validates the contributions of nursing and provides respect and year round appreciation our valuable nursing workforce. I hope others feel the same and will visit http://nationalnurse.org to become active supporters. 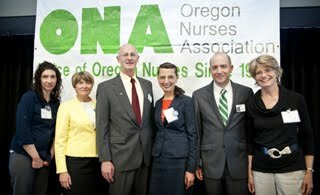 The National Nursing Network Organization(NNNO) is thrilled to announce the full support of the Oregon Nurses Association (ONA), a state affiliate of the American Nurses Association, for HR 3679, The National Nurse Act of 2011. The ONA made its decision to endorse this legislation by bringing an action report to its House of Delegates meeting that was attended by 182 members representing over 12,000 registered nurses. The motion before the House was that ONA advocate for the continued role and increased visibility of public health nursing in health care reform proposals including supporting the provisions for the National Nurse Act of 2011. The ONA believes that as we continue to transform our health systems at the state and national level, it is important that we work to elevate the role of public health nursing to create community level systems, identify public health concerns, and achieve early intervention for identified needs. Our current health care system is based on sick care not health care. A philosophical and cultural shift to focus on wellness at the state and national level that is reinforced by nurses in every community would go a long way in promoting health, reducing costs, and saving lives. HR 3679 proposes that Congress designate the USPHS Chief Nurse Officer (CNO) position as the National Nurse for Public Health to serve as a recognizable leader in health promotion and disease prevention, elevate nursing's influence and prominence, better utilize the expertise of nurses, and serve a vital function in our current climate of health care reform. The National Nurse for Public Health would assume the current duties of the CNO and would provide guidance and conduct media campaigns to promote public health. ONA delegates UNANIMOUSLY gave their support for this legislation because they too recognize the National Nurse Act of 2011 has tremendous potential to advance the health and wellness of our country. The signatory letter encouraging members of Congress to support the National Nurse Act of 2011 continues to grow, and in the past few weeks many national nursing organizations have added on in support. The American Pediatric Surgical Nurses Association (APSNA), representing 570 nurses, stated they would be honored to sign this letter to Congress. Their Board of Directors approved this decision unanimously. The 14,100 plus members of the American Society of PeriAnesthesia Nurses also signed on in support of HR 3679. They stated, “Please do add the American Society of PeriAnesthesia Nurses to your letter. This is critical legislation for moving forward with the IOM/RWJ Report on The Future of Nursing and associated recommendations for action. President Judy Dean RN, DSc., NCTMB, CHt representing the National Association of Nurse Massage Therapists declared unanimous support for HR 3679. She says, “As a fellow RN, I applaud you in this endeavor. Just imagine if all the Nurses in the United States sent letters of support in regards to this issue as well as other health related ones, we would win just by our numbers! The Society for Gastroenterology Nurses and Associates wrote they would be happy to support HR 3679, The National Nurse Act. Nursing First President Sylette DeBois BSN, RN, HTC, states, “Nursing First is an organization dedicated to the education, support, and mentoring of the nursing team. We pride ourselves to be a professional organization supporting nurses all over the United States. Nursing First is committed to improving the health of our nation. For this reason, Nursing First is proud to support The National Nurse Act of 2011. There is still time to add your or your organization’s name on as a supporter. Please email the NNNO Board to receive a copy of the signatory letter if you are interested in pursuing this action. We find when organizations take the time to review and study the legislation, they overwhelmingly decide to support this legislation. It is not surprising, and very encouraging to see that nurses, no matter what their area of practice, can see the value of HR3679. Nurses know PREVENTION is key to improving our health outcomes and reducing costs. With a prominent National Nurse for Public Health, we can all focus on those objectives regardless of our specialty area. Thank you to the American Association of Occupational Health Nurses (AAOHN) for sending the following letter of support for HR 3679, National Nurse Act of 2011 to Congresswoman Lois Capps (CA-23) and to Congressman Steven LaTourette (OH-14 ) who co-chair the Nursing Congressional Caucus. The American Association of Occupational Health Nurses (AAOHN), the 6,000 member organization for the nurses who care for American’s workers, supports the National Nurse Act of 2011 (HB 3679). The role of public health needs to grow for America's healthcare system to move from an illness to a prevention/wellness paradigm. Establishing this National Nurse position demonstrates continued commitment from the federal government and gives support for programs in communities. President of the American Association of Occupational Health Nurses, Inc. The National Nursing Network Organization (NNNO) once again was honored to meet with leadership of the U.S. Public Health Service that included RADM Kerry Nesseler (Chief Nurse Officer USPHS); RADM Chris Halliday (Chief of Staff to the Surgeon General ); Dr. Lesley Russell (Senior Public Health Advisor for Outreach and Policy); Dr. Mary Beth Bigley (Acting Director, Office of Science and Communications); and Lt. Christine Colllins (Special Assistant to the Surgeon General). During our meeting, the NNNO provided an update regarding HR 3679, The National Nurse Act of 2011 . Our discussions recognized the potential for nurses to be catalysts for prevention campaigns in their local communities. Tobacco cessation is an example of a topic that nurses, using available materials, can greatly influence. After our presentation, we received copies of the recently published 2012 Surgeon General's Report-Preventing Tobacco Use Among Youth and Young Adults. We were generously provided with a hard copy of the full report, as well as the consumer booklet that summarizes the latest findings about the epidemic of tobacco use among youth and young adults, the causes, and the solutions. Today, more than 600,000 middle school students and 3 million high school students smoke cigarettes. Rates of decline for cigarette smoking have slowed in the last decade and rates of decline for smokeless tobacco use have stalled completely. Every day, more than 1,200 people in this country die due to smoking. For each of those deaths, at least two youth or young adults become regular smokers each day. Almost 90% of those replacement smokers smoke their first cigarette by age 18. There could be 3 million fewer young smokers today if success in reducing youth tobacco use that was made between 1997 and 2003 had been sustained. Prevention efforts must focus on young adults ages 18 through 25, too. Almost no one starts smoking after age 25. Nearly 9 out of 10 smokers started smoking by age 18, and 99% started by age 26. Progression from occasional to daily smoking almost always occurs by age 26. Tobacco use by youth and young adults causes both immediate and long-term damage. One of the most serious health effects is nicotine addiction, which prolongs tobacco use and can lead to severe health consequences. The younger youth are when they start using tobacco, the more likely they will be addicted. Prevention is critical. 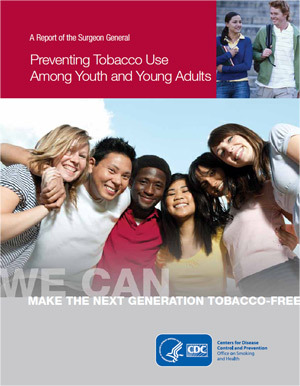 Successful multi-component programs prevent young people from starting to use tobacco in the first place. These programs more than pay for themselves in lives and health care dollars saved. Strategies that comprise successful comprehensive tobacco control programs include mass media campaigns, higher tobacco prices, smoke-free laws and policies, evidence-based school programs, and sustained community-wide efforts. USPHS leaders may not take a position on any pending legislation. However, after leaving this important meeting, the NNNO Board carefully reviewed the Surgeon General's Report and proposed solutions. It is evident that having Congress declare the USPHS Chief Nurse Officer as the National Nurse for Public Health, to make this prominent position more visible, would be beneficial to engage and inspire every nurse to be an active partner in preventing tobacco use among our youth. We urge those who agree to please take a few minutes today to contact your US Representative and urge them to co sponsor HR 3679, The National Nurse Act of 2011 . Also of notable mention: This report is an exemplary example of the theme for this year's Public Health Week, A Healthier America Begins Today. The week long activities commence today!